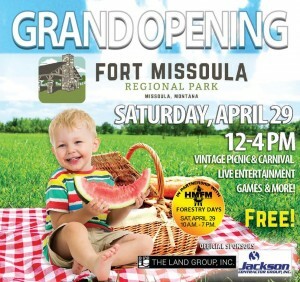 We got a chance to explore all the latest happenings out at the new Fort Missoula Regional Park earlier this week, and we can’t wait to celebrate its grand opening with you this weekend! Join Missoula Broadcasting Company and Missoula Parks and Recreation Saturday, noon to 4, for a free vintage carnival for all ages – including live music and dance, circus acts, tours of the new park, games and sports and so much more. 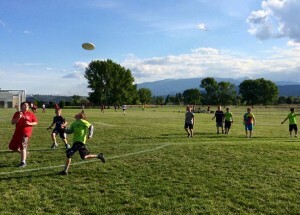 The new sports field will be open for fun family-friendly games like folfing and bocce ball – or sportier types can play soccer, flag football or ultimate frizbee on the new synthetic turf fields. Reps from Parks and Rec and Historic Fort Missoula will lead p ark tours at 12:15, 2 and 3 pm, and there will be an official ribbon-cutting ceremony at the Bella Vista Pavillion at 1 pm. And of course we will be there with all our smiling faces, broadcasting live and giving away lots of station goodies – so if for no other reason, be sure to stop by to say hello to your favorite radio personalities! 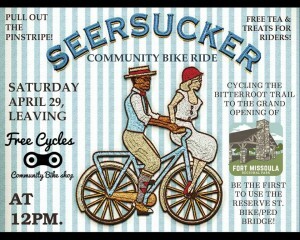 And while you’re there, swing over to the Historical Museum at Fort Missoula for its annual Forestry Day celebration 9 am to 4 pm, and join Free Cycles on a “Seersucker Bike Ride” across the new South Reserve pedestrian bridge at noon! 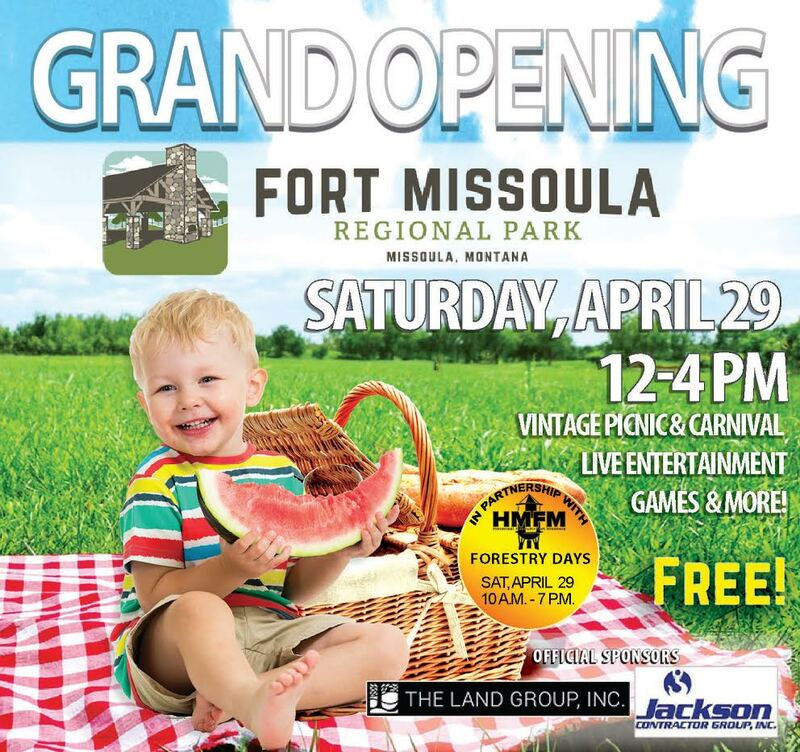 The new Fort Missoula Regional Park is a joint project of the City of Missoula and Missoula County and was funded with $38 million of a $42 million parks and trail bond approved by voters in 2014. For more information, call 721-PARK or visit AtTheFort.org.